Planning your wedding can be completely stress free when you use the services of Creative Weddings & Events. This company is made up of a team of event experts who are artists, designers, organizers, consultants and so much more for their clients. From helping you create the perfect wedding invitation to providing decorating ideas and dealing with vendors, this company will allow you the chance to actually enjoy the planning process while they do the heavy lifting and unpleasant tasks. Holy Matrimony is one of the top wedding planning companies in Maryland because of their dedication to planning beautiful events as well as their focus on the most important part of the day: the marriage. Hiring this company will jump start your planning process. They will bring you through all of the steps and decisions that you need to make in order to make your event a success. With experience specifically planning weddings, you can be sure that you will have a personalized and romantic wedding day. There is something to be said about the boutique planning experience. It includes working closely with the event planners, being involved in making the decisions and always results in a beautiful wedding day. Boutique events is owned and operated by Jean and Emily, a pair of professional event planners who provide this experience and so much more. 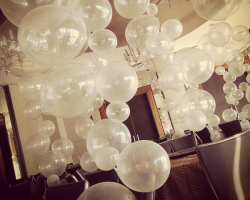 They work to customize your event while staying on budget and in style. When these ladies are helping you plan, you can be sure that the ceremony will be beautiful and the party will be fun. 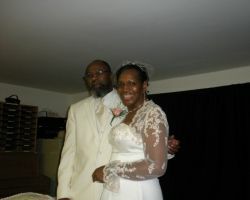 Your Day Your Way is a wedding planner in Baltimore, MD that is completely dedicated to making your wedding vision a reality. The team at this company works closely with clients to truly understand how they would like their wedding day to go, which makes for a more personalized experience and a more customized wedding. While they do have wedding packaged laid out that fit the needs of most couples, they are flexible and willing to accommodate and make a package that truly suits your unique needs. It is clear from the images of events previously planned by Stephanie Day Events that this company has a talent for creating beautiful and magical settings for any wedding to be a success. 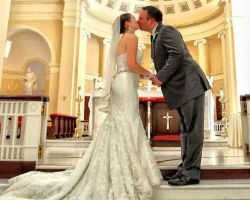 As Baltimore wedding planners, this company will work closely with you on your timeline and checklist to ensure all of the details are planned and well executed for the big day. Once the planner understands your style, you will be presented with options and truly in control of making the decisions for the event. 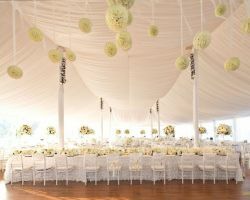 While hiring a company that is specifically for wedding planning can mean having a beautiful day that flows smoothly, but it can also mean having a day that is not as unique as hiring an events company that is more modern. 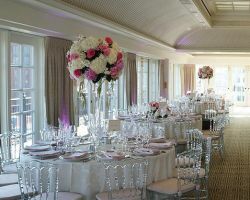 NoLo Weddings & Events is the best of both worlds. This company is owned by two certified event planners that have fresh design ideas for weddings. This team is the very best at making each event they plan as personalized as possible, which has made them like celebrities in the planning industry. Once you find the planning services of Elizabeth Baily Weddings, you will not be satisfied by any other wedding planner. This professional has been planning beautiful events for the past 20 years. Her experience has helped her to perfect her planning talents. Pair this with her incredible eye for design and you have an unbeatable combination. Whether you are a local couple looking for unique vendors or are planning on having a destination wedding, this company can make your dream wedding come to life. JPB Designs is a company that has gained success in the industry for pulling off beautiful Maryland weddings by focusing their energy on executing the details of the event perfectly. This method of planning ensures that the bigger picture will be unforgettable. With a team of wedding experts, this company is creative as well as organized and logical, which is a perfect combination when planning an event that needs to flow effortlessly. 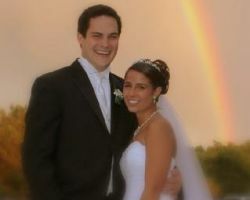 Hiring this company is the only way you can be sure to have a relaxing and personalized wedding day.